Visualaz, is an unconventional film and production studio, specialising in short film production for weddings and corporate clients. In recent years their business had grown, and the need for a strong brand identity had become apparent. Every great story has a beginning, middle and end. 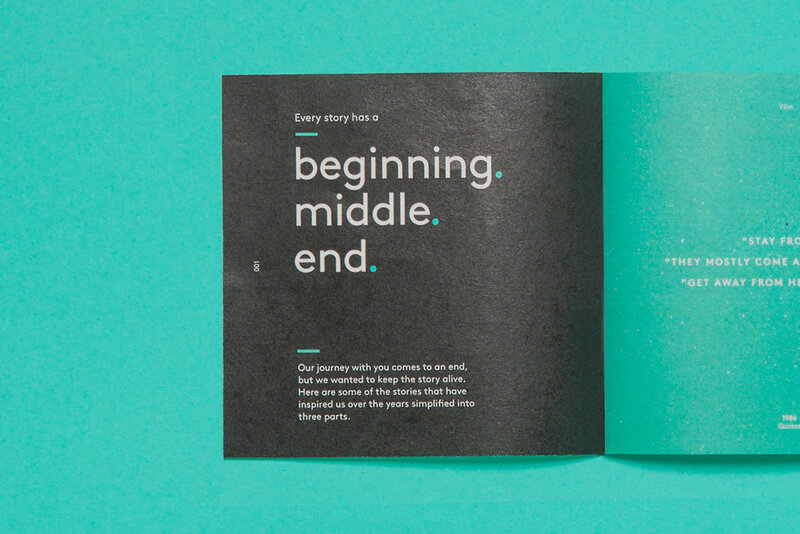 With this as a starting point, we built a playful visual and verbal identity system based on the three-part story structure. The name, Visualaz, lent itself perfectly to this system, helping the pronunciation through a phonetic structure. Each piece tells its own story to create a memorable experience.